I took a CIPD course in 2016 and there was a graduation ceremony. 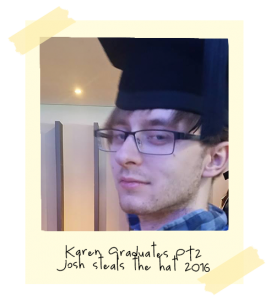 Josh wanted to wear my hat. 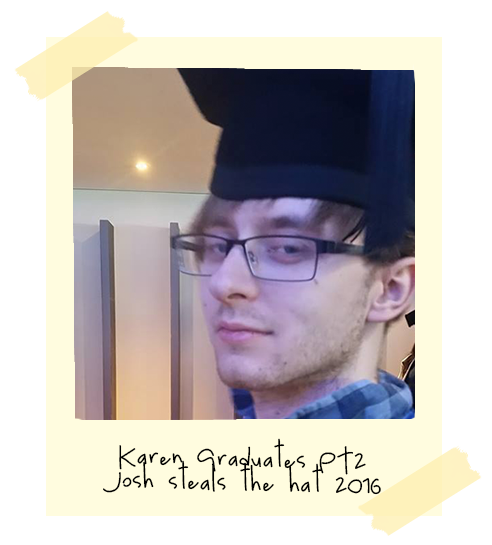 So this is Josh dressed up for graduation on my graduation. All text and images displayed on this site is protected by copyright law. No duplicating, copying or reproduction is permitted unless prior concent has been given (in writing) by the copyright proprietor. Copyright © Karen M. Dillon & Joshua Braybrooke.